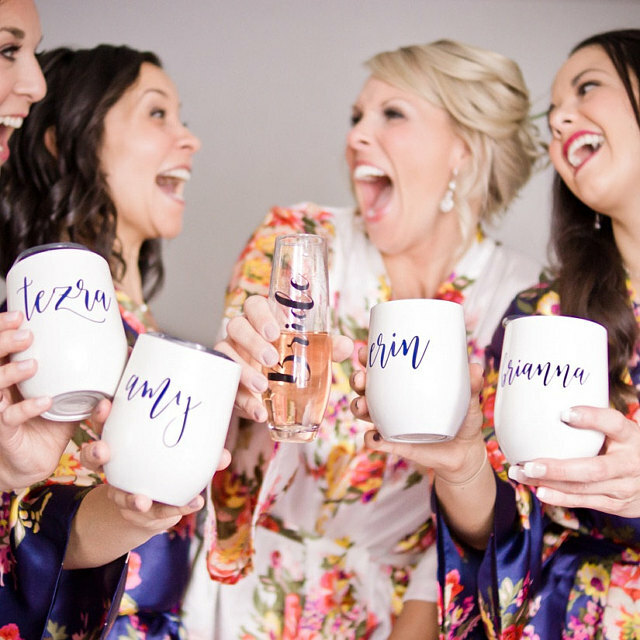 It is imperative the bridesmaids’ glass not only properly enhances the drink but also complements the occasion as well. 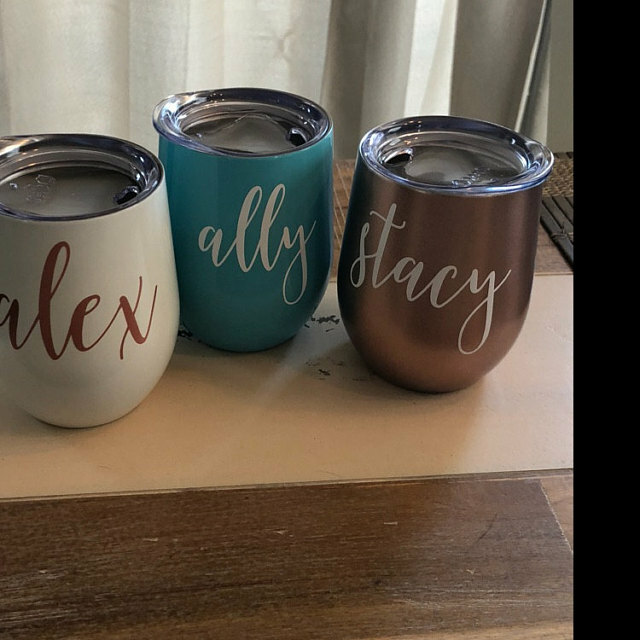 These personalized wine tumblers ensure wine aerates while making an elegant addition to your bridal party. 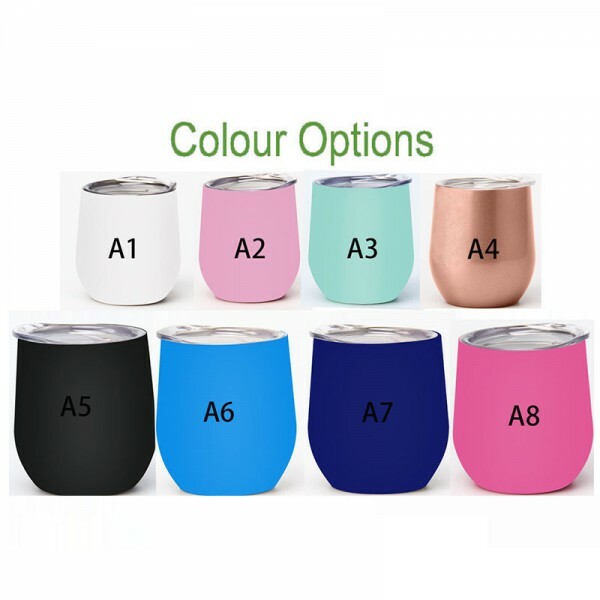 • Stainless steel wine glasses. • Available in 8 colors (As shown in Picture 3). • Features screw-top lid and reusable drinking straw. 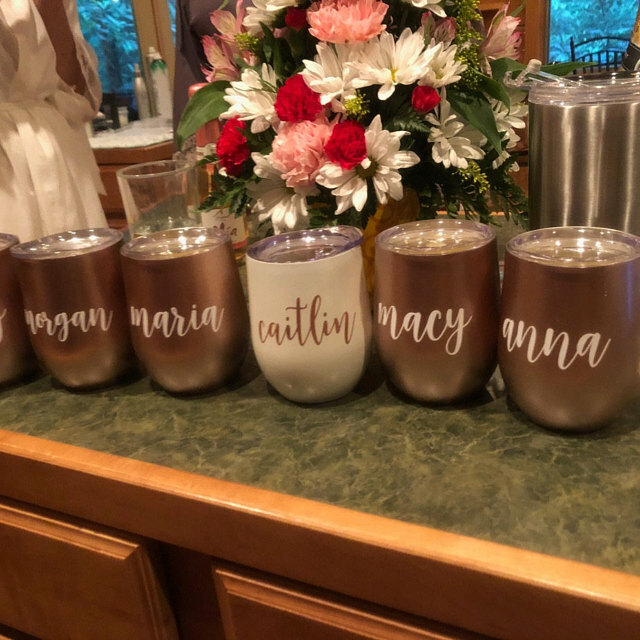 • Note your bridesmaids’ names when checkout. Love these! They are just as shown! 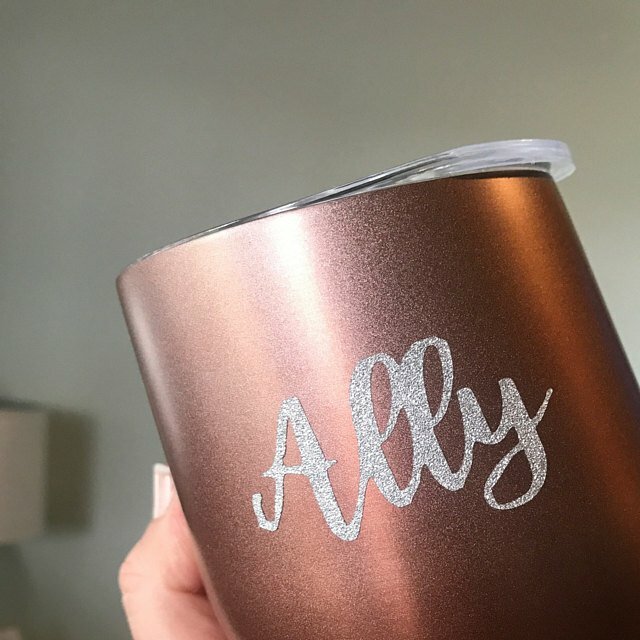 Perfect for my bridal part as we get ready for the wedding! 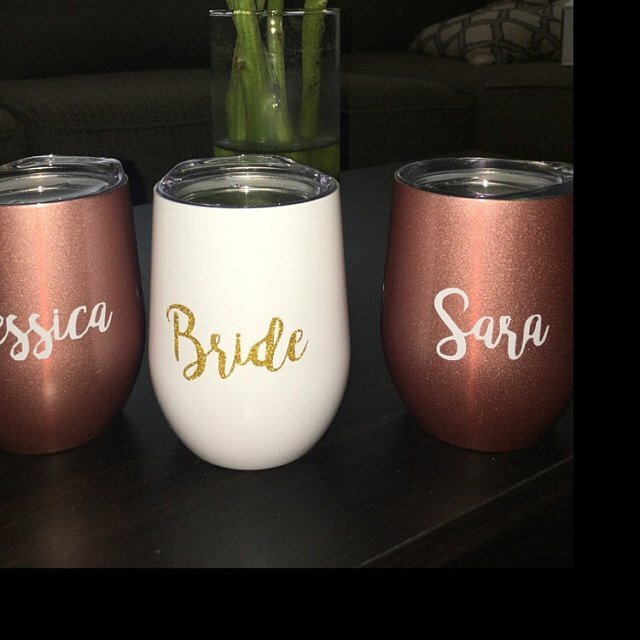 Purchased three wine tumblers to ask my bridesmaids to be in my wedding. Came exactly as described and seems like they will hold up well to use and washing. My ladies loved them!! These are so cute and shipped fast! These are so cute and shipped fast! Can't wait to use them on my wedding day! These were wonderful! 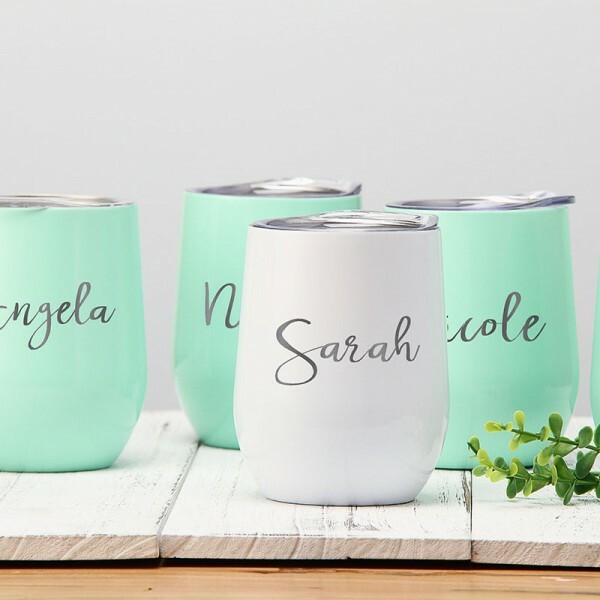 The names are just sticker decals so I wouldnt put them in the dishwasher which always stinks but they are beautiful and are exactly what I was looking for. I love these! My bridal party will be thrilled when they receive. Perfect size and personalisation gives it that extra touch! Overall very pleased with purchase. The wine cups turned out better than I anticipated. Names and extras were perfect. The color of the mint was a little off from what I expected but will still work well. Overall very pleased with purchase. 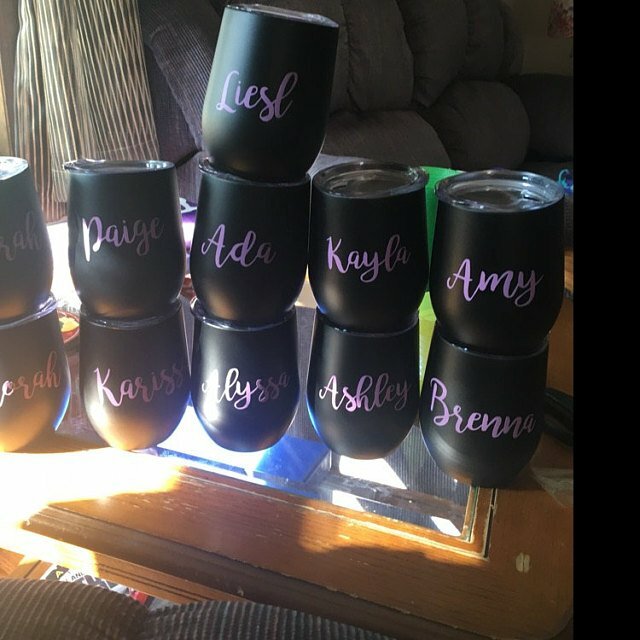 I purchased several custom wine tumblers for my bridesmaids as a wedding thank you gift. They loved them! 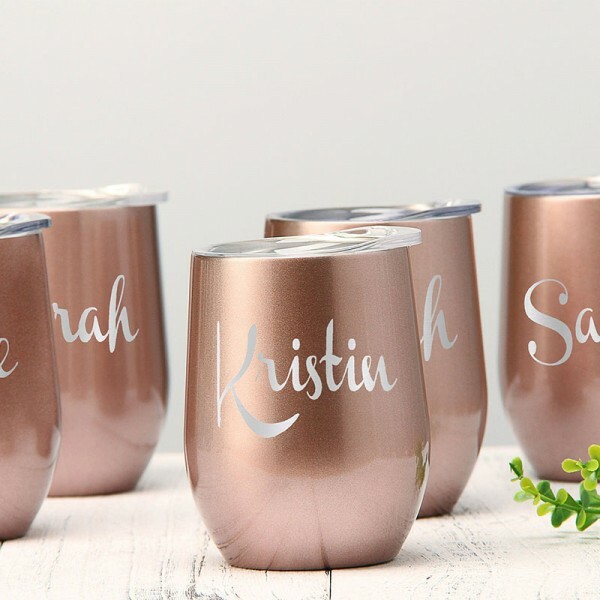 Everyone's names turned out great and the rose gold color was fun and classy. This is something they'll keep with them and use for a long time. Great quality. I ordered 9 of these. I ordered 9 of these. 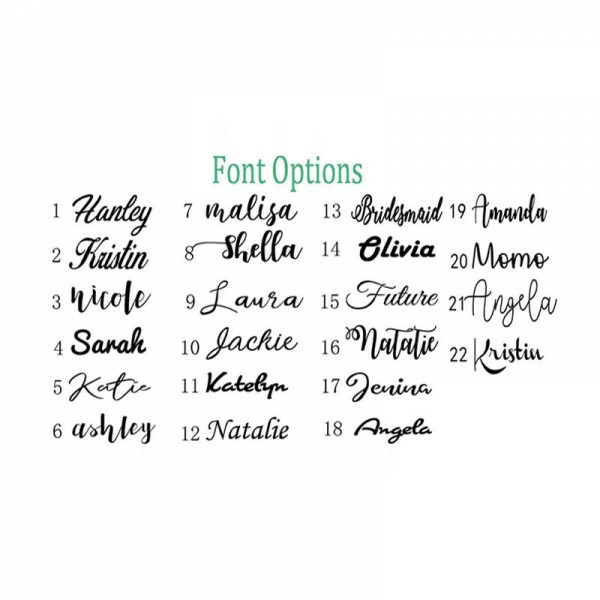 They are REALLY cute, but the font's all came in different sizes. However, the seller accommodated me immediately and send me corrected ones at no charge. Love! Overall, I like the tumbler. Overall, I like the tumbler. Unfortunately part of the "e" is missing, but it will do the job. LOVED IT!! Exactly like pictures. Very good quality!! These are beautiful! They weren’t expensive- and all names are spelled perfectly. 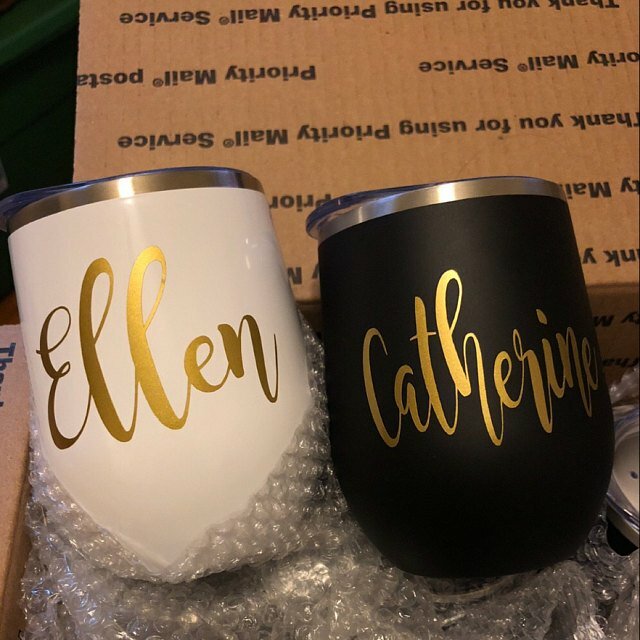 Haven’t used them yet, so not sure if lettering will stay...looks to be a possible ‘peeling’ issue....but I’m excited to give them out as bridesmaids gifts!! These all turned out great! 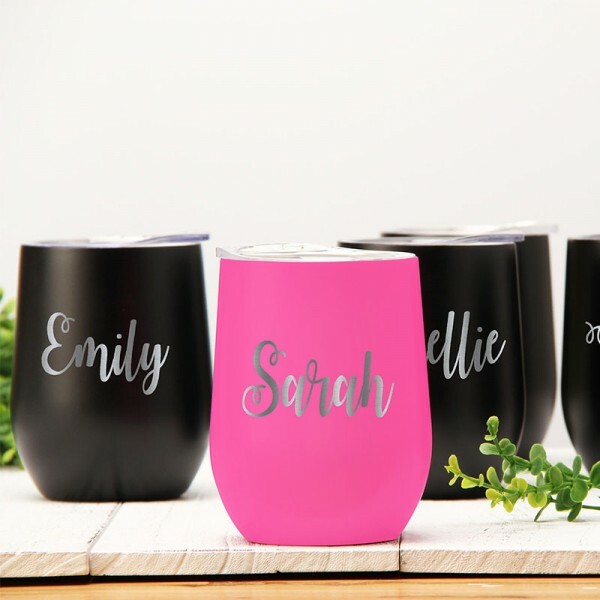 I ordered several of these for my bridal party and they are lovely. 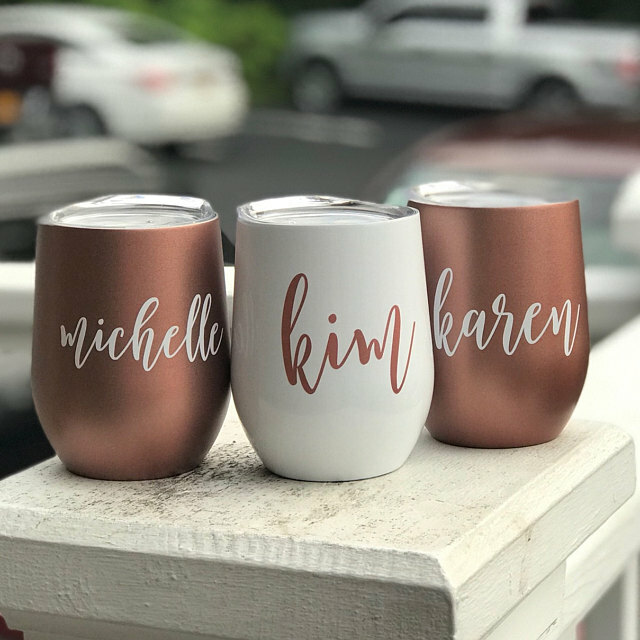 Name & design are not painted on , they are etched into the cup. The price and quality are great, and the turn around time was fast. Lovely! They are so pretty but also functional and sturdy. 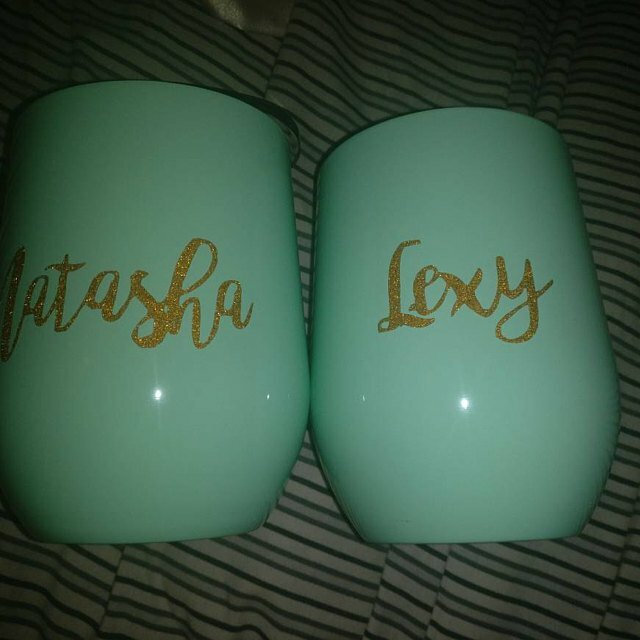 Bought these for my bachelorette party and they turned out better than expected! They are so pretty but also functional and sturdy. Thanks!! Beautiful! Exactly as pictured. My girls are going to love them. They turned out great and shipped very quickly! 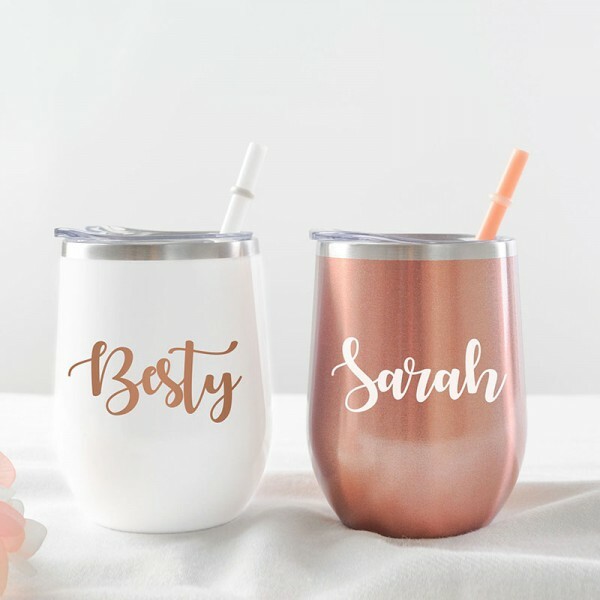 I ordered these for gifts for my bridal party and love them! They turned out great and shipped very quickly! The shop was good with communication as well! These are gorgeous! Aside from the shipping issue, I would definitely order again! 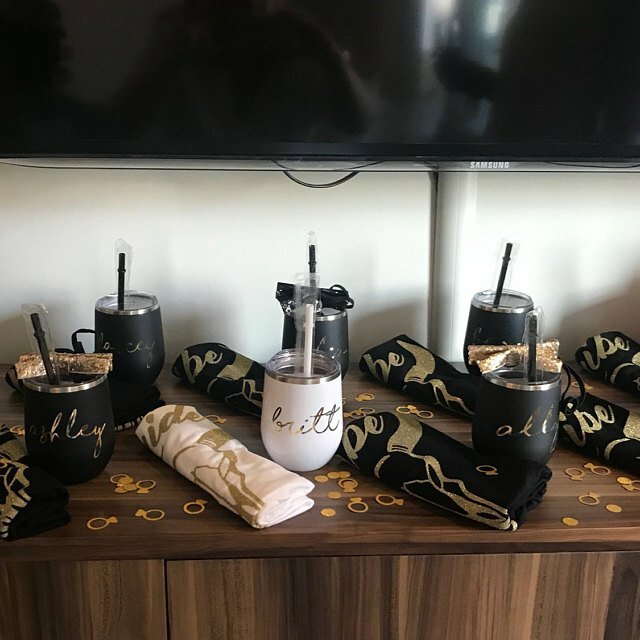 I can't wait to give to my bridesmaids! 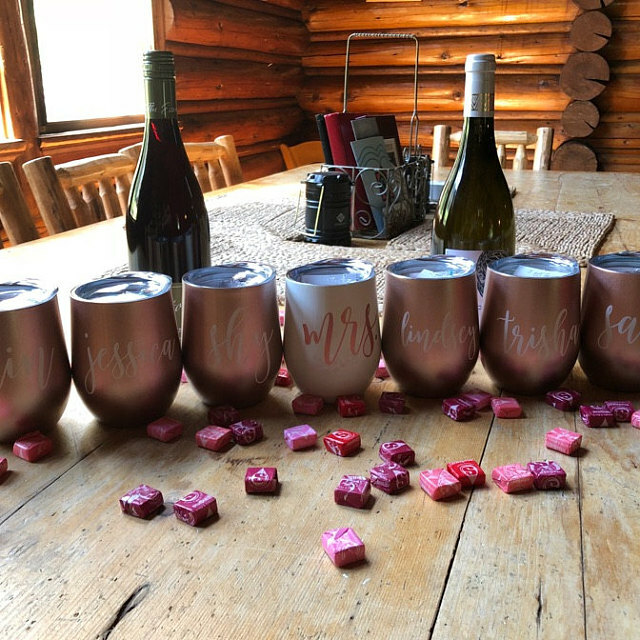 Loved how these tumblers turned out—they will be perfect for my bachelorette weekend! Awesome quality! I wasn’t receiving a tracking number so I contacted the shop and they were very helpful. I received the items faster than accepted and they look great! I’m excited to give them away as gifts at my wedding. 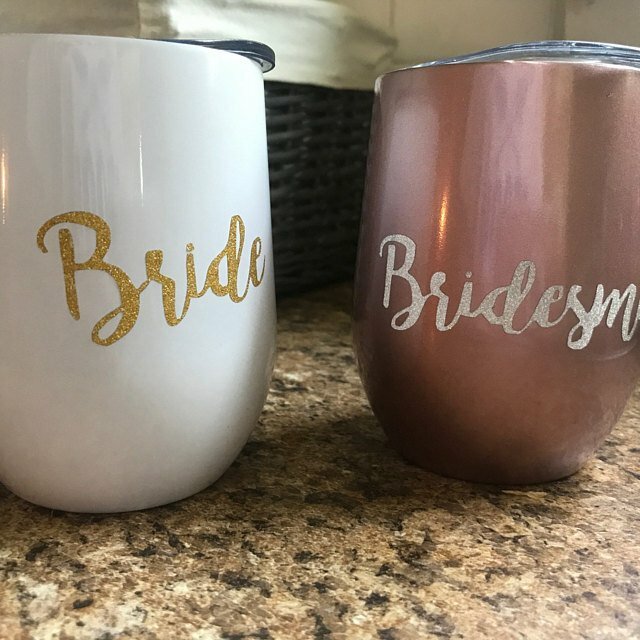 My bridesmaids are going to love these!!! My bridesmaids are going to love these!!! the colors were exactly how it was pictured! Cant wait to give them to all of my bridesmaids. The cups came in and are super cute and of amazing quality for the price! Cant wait to give them to all of my bridesmaids. 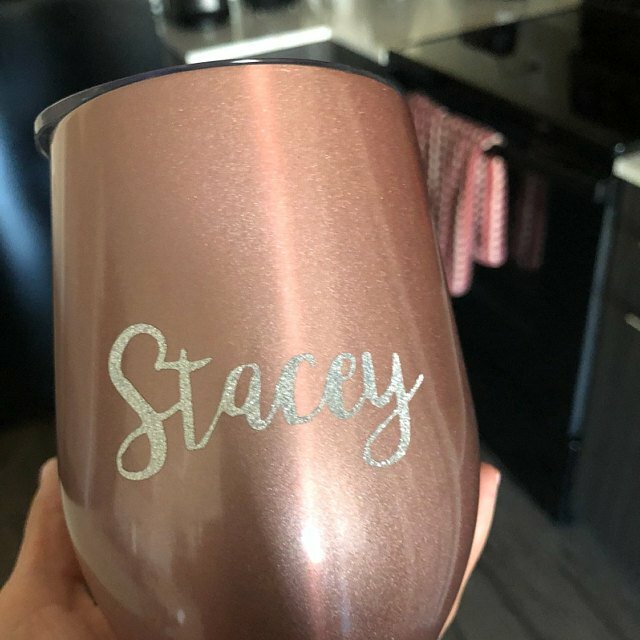 Question about Personalized Gift Wine Cup is Successfully Submitted.